Why do I have pain in the bottom of my heel? Pain in the bottom of the heel is usually caused by a condition called plantar fasciitis. Do you find that your heel pain is worst in the early morning, or when you stand up after a long sit (for example, watching a movie)? That’s another common sign. Plantar fasciitis is characterized by inflammation, stretching, or tearing in the plantar fascia ligament. This band of tissue runs across the entire sole of the foot, from heel to toes. Its primary job is supporting the arch, but daily wear and tear can weaken and damage it, usually near the connection point with the heel bone. Of course, there are other possible explanations, including bruising, thinning of the fatty pad under the heel, stress fractures, nerve compression, etc. Most of these are also related to factors like athletic overuse, poor shoe choices, etc. Whatever the reason for your heel pain, you can always visit the nearest office of the Northwest Extremity Specialists for prompt evaluation and treatment. Regenerative medicine is an emerging category of research and treatments that focus on harnessing and magnifying the body’s own natural healing and anti-inflammatory abilities, rather than simply managing painful symptoms. These advanced technologies are often able to restore healthy functioning to badly damaged tissues and can provide faster recovery for performance athletes, as well as long-awaited relief for those suffering from chronic pain. At Northwest Extremity Specialists, our team is fully committed to providing state-of-the-art facilities and treatment options for our patients, including regenerative medicine. To schedule an appointment, contact your nearest office today. 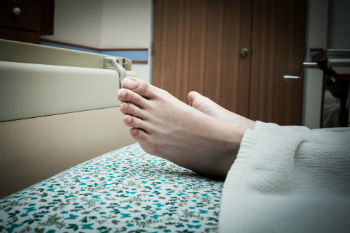 What foot complications are associated with diabetes? Peripheral neuropathy—nerves in the feet and legs deteriorate and die, leaving you less able to sense danger and more likely to overlook cuts, bruises, sprains, or other injuries. Poor circulation—blood flow to the feet and ankles becomes compromised. This reduces the effectiveness of your immune system and ability to heal injuries. It also means your tissues get less oxygen and fewer nutrients. In extreme cases, they could even die due to lack of nutrition. If you have diabetes, it’s critical to get your feet checked regularly by a specialist—even if there are no obvious problems. To book your appointment, call your local office of the Northwest Extremity Specialists today. Should I see a doctor about my ankle sprain? It is strongly recommended that you visit a foot and ankle specialist (podiatrist) after any ankle sprain, and avoid putting weight on the affected foot in the meantime. Furthermore, your ankle sprain may occur alongside other injuries, including fractures, that may also need treatment. If you twist or sprain your ankle, please contact one of the many offices of the Northwest Extremity Specialists today. To learn more about how we can help you with your foot pain, call any office of the Northwest Extremity Specialists. What are the advantages of laser treatment for fungal nails? Laser treatment for fungal nails has plenty of significant advantages over other treatments, which typically require a daily regimen of oral antifungal medications for 6 to 12 weeks. More effective. Cure rates are higher for laser treatment than with older treatments. Safer. Oral antifungals are known to cause bad side effects in some people, including skin rashes and liver damage, and may not be appropriate for all patients. By contrast, laser treatment requires no medication and has no known side effects. More convenient. Older treatments require daily pill-taking and even occasional blood tests to ensure your safety. The laser treatment course, however, requires an average of just three monthly sessions, usually lasting less than 30 minutes each. There’s no downtime afterward either, making it easy to fit into your busy schedule. If you are suffering the embarrassment of unsightly fungal nails, please contact your nearest office of the Northwest Extremity Specialists to learn more about your treatment options. Wear appropriate footwear. Your running shoes need to fit both your foot shape and your running style. Talk to a podiatrist about custom orthotics or arch supports. These can help support your feet and reduce pressure and stress as you run. Warm up and cool down before and after every run. Stretch and strength train regularly to maintain your flexibility and reduce muscle fatigue. Increase the mileage or intensity of your runs gradually. Going too hard, too fast, too soon can lead to injury. Cross train in multiple athletic disciplines. Rather than only running, or only playing sports with running and jumping, spend some of your training days on low-impact exercise (such as cycling or swimming). Choose less stressful terrain. Running on softer, more level surfaces can reduce the strain. Listen to your body. If you are in pain, stop before you get seriously hurt. 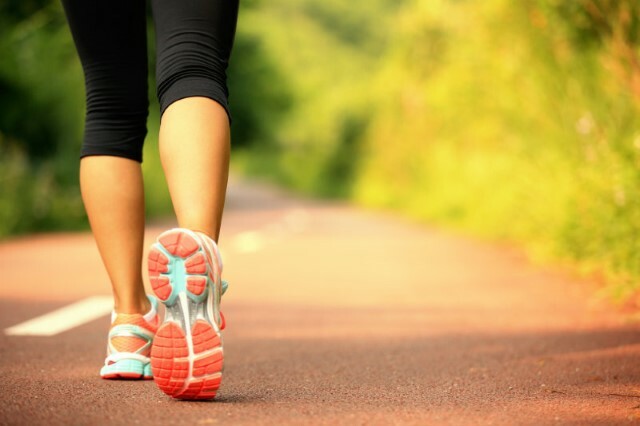 If you sustain any kind of foot or ankle injury while running, please visit Northwest Extremity Specialists to review your treatment options. How can I prevent foot pain at work? If you have foot pain, just getting to the end of your workday can be a slog. Forget about running errands, cooking dinner, playing with the kids, or going out for an evening walk afterward! Wear footwear with solid arch support and cushioning. Take regular breaks to either sit (if you stand at work all day) or walk (if you sit at a desk all day). Change positions and shift your weight. Stretch your legs, rotate your ankles, and wiggle your toes regularly to keep the blood flowing. Cover hard floors at your workstation with a cushioned rubber mat or rug. If you still struggle with pain, stop in to see the Northwest Extremity Specialists. We can match you with a pair of custom orthotics to better support your feet while work, along with providing any other treatments you may require! Are custom orthotics really better than regular arch supports? In most cases, custom orthotics will perform much better than regular, prefabricated arch supports or insoles that you buy off the shelf. Remember that every foot is unique; no two are exactly alike. Regular arch supports are made to approximately match a range of common foot shapes and types, and while they can provide some degree of relief, they will not be able to match custom orthotics built to your exact specifications and prescribed to address a specific problem. That said, in some cases a regular arch support—if correctly chosen—can provide adequate relief for more minor sources of foot pain. A trained specialist can help you make that determination and make sure you get the right support for your feet. To schedule an appointment with the Northwest Extremity Specialists, please book an appointment at one of our convenient locations. Do I need surgery for my bunion? Surgery is the only bunion treatment that can actually remove the bony deformity and realign your feet into a more normal shape. However, this does not mean that every bunion must be treated with surgery. Many bunions respond well to conservative treatments, such as custom orthotics, bracing, taping, physical therapy, and even wearing wider shoes. Although these treatments will not “fix” your bunion or restore your original foot shape, they do have the potential to relieve your pain and slow the rate at which the bunion progresses. If you find that conservative treatments allow you to maintain your desired lifestyle without pain, surgery may not be necessary—at least not right away. On the other hand, if your bunion is severe and pain is persistent despite your attempts to manage it conservatively, surgery may be the best choice. To learn more about your options and schedule an appointment, please contact the office of Northwest Extremity Specialists closest to your location.